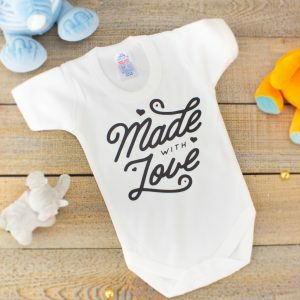 See your little prince wrapped up in their own thick and fluffy personalised hooded towel, perfect for drying them up after bath time! 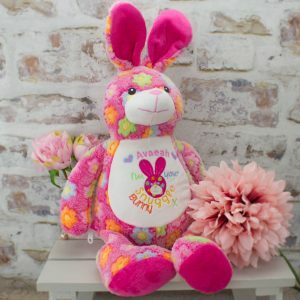 Every little girl dreams of having their own unicorn, make her dreams come true with 'Aurora' the unicorn - the perfect companion for your princess! 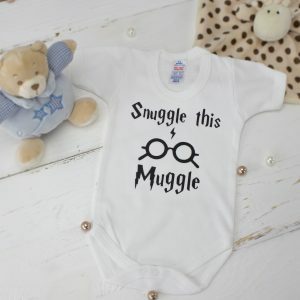 Aurora can also be personalised to make an excellent memento for years to come - check out the product gallery for our different design templates and select the appropriate box below. 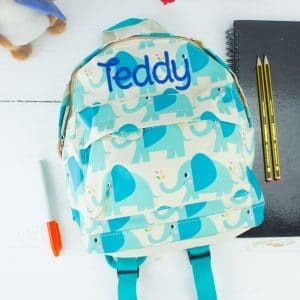 Make sure your little man has the coolest bag around with our stylish Elephant print kids backpack the perfect personalised gift for school or days out. To Personalise simply type their name into the box below and select the desired text colour and you're ready to go! 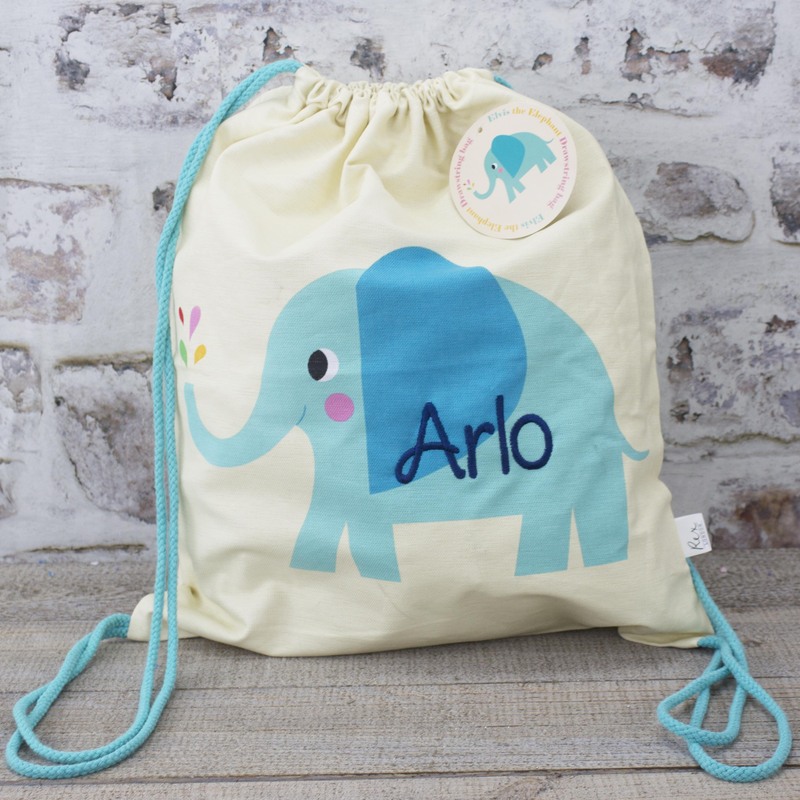 Make sure your little boy has the most adorable bag around with our stylish Elvis the Elephant Drawstring bag the perfect personalised gift for nursery or days out! 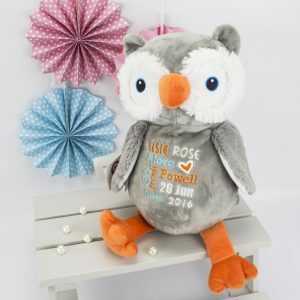 Make sure your baby girl has a friend for life with our adorable Personisled Fairy Rag Doll, the most companion for every little girl from birth to adulthood that is guaranteed to become a treasured keepsake. 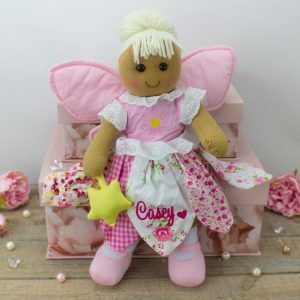 This Fairy Rag Doll can be personalised with your little Angel's name free of charge to make for a unique gift ... simply type her name into the personalisation box below! 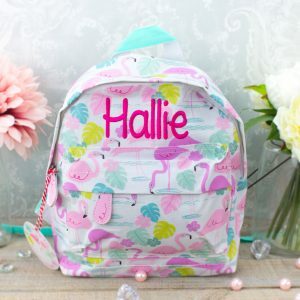 Make sure your little girl has the coolest bag around with our stylish flamingo print kids backpack the perfect personalised gift for school or days out!